Earlier last month OSS correspondent, Samantha Vargas had the privilege to interview talented duo LD & JHONI. Sam caught up with them right after their performance at Best Buy in Time Sq, where they opened up for Reggaeton sensation, Tito El Bambino (did I mention it was for Billboard en Concierto?)! . The crowd went wild - especially the ladies! The boys were also part of Romeo Santos’ “The King Stays King Tour”, where they performed in 7 cities. 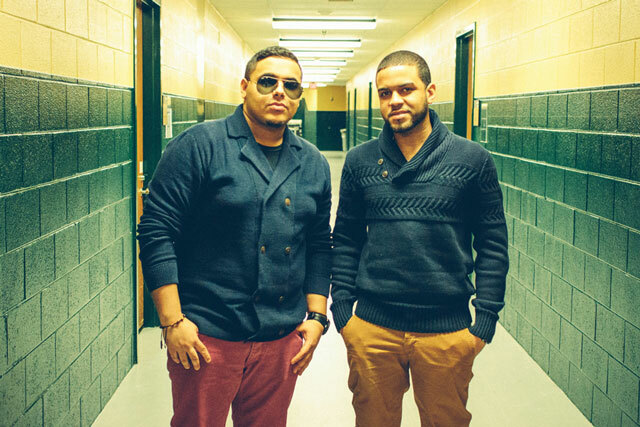 Glenn Acosta (Marc Anthony’s road manager) had the vision to bring the duo together. With the help of acclaimed producer & arranger, Angel Fernandez, veteran music attorney/manager Elva Mason and Glenn Acosta, there’s no doubt that LD & JHONI will make their mark in the Latin music scene! When they are not on stage, they’re just normal down to earth, family oriented, educated, FINE young men.